The feeling of stiffness and pain. Severe pain in the tendons and ligaments. Loss of flexibility in the spine. In our Multicare homeopathy online treatment center peoples suffering from ankylosing spondylitis have been benefited using our advanced homeopathic treatment packages. 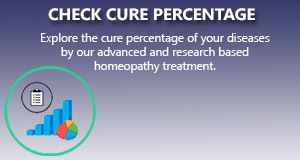 We apply the most scientific and research based homeopathy treatment package for ankylosing spondylitis that gives a long standing cure to the ailment. Aesculus –The primary indicating feature for the usage of Aesculus is marked pain in the lumbosacral location of the returned and hips with severe stiffness. For Aesculus to be used the following symptoms may be present – ache from the again may additionally radiate to thighs. Pain can be of aching, sore, tearing nature or it's far may be intense that it can provide the feeling of a damaged lower back. Rising from a seat, strolling and stooping are all hard and painful. The patient has to make repeated efforts to upward thrust from the seat. Intense pains and stiffness in the lumbosacral location make it not possible to walk. Pain within the sacroiliac location and again seems and the man or woman feels as if legs & returned could deliver out whilst on foot. Lower back is extraordinarily rigid, stiff, weak and painful. Rhus Tox – Rhus Tox occupies a high position in homeopathy to treat various kinds of pain. In ankylosing spondylitis, it is applicable when pain and stiffness in back and hips are worse when a person is at rest. For Rhus tox to be used following symptoms may be present – Pains are aggravated after a period of inactivity. Walking helps to relieve a backache and hip pain. There is marked stiffness, lameness, and pain in the lumbosacral area of back and hips. The pain goes down from back and hips to thighs. Sitting aggravates the pains. Hard pressure and lying on something hard seems helpful in providing relief in the pains. Rest worsens the pain and motion relieves. Kalmia – Kalmia is an appropriate choice of medicine in cases where pain and stiffness are marked in lower back and neck area. For Kalmia to be used the following symptoms may be present – there is pain, lameness, stiffness in lumbosacral area. The pains are accompanied by heat and burning in the affected area. Numbness and pricking sensation may appear at the painful site. In addition to this neck pain and stiffness are marked. The neck region is sore and tender to touch. Pain is attended with excessive stiffness in the neck. The pain from the neck often radiates down the arm or in the scapula. The pain usually appears in paroxysms. The pains are worse in the early part of the night. Kali Carb – Kali Carb is a valuable remedy to use when the back feels extremely weak with pain and stiffness. For Kalmia to be used the person may go through the following set of symptoms- feeling of paralytic weakness in the back and must lie down. While walking back gives out and the patient has to sit down. The back is very painful and stiff and feels as if it was broken. The pain from the lower back may extend down the thighs or ascend to the upper back. Changing position while lying aggravates the back pain and the sufferer must rise in order to change the position in bed. Sharp, stitching pains in back shoot into gluteal region or hips. Morning aggravation of lumbosacral pain around 3:00 am may be seen. Cimicifuga Racemosa And Guaiacum – For Marked Neck Stiffness For Cimicifuga to be used the patient may exhibit the following symptoms- there is excessive stiffness in the neck with severe pain. Neck muscles feel retracted. Neck stiffness is worsened in cold air. Lumbosacral pains extending down hips and thighs are also present. Homeopathic medicine Guaiacum is equally effective for relieving neck stiffness. Guaiacum is indicated when there is contractive pain between scapulae. Stiffness from neck may also extend to shoulders. Shoulder blades are also painful.